Lube Mobile’s mobile mechanics come to you for all car services and car repairs including alternator replacement. Our fully qualified technicians arrive on time at the place which suits you the best. We arrive fully equipped for your vehicle repairs, maintenance and service needs so you don’t have to organise alternative transport or work to your local mechanic’s workshop schedule. We can schedule for your local mechanic to meet you at home or at work – even on your holidays so you’re back on the road as soon as possible! Car flat-out not starting at all? Noise under the bonnet ? If you’re having this trouble with your alternator Lube Mobile offer vehicle mobile mechanics for the time and place which suits you. 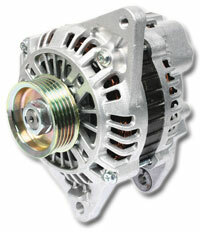 We perform our alternator repair and alternator replacement on-site and on time. Using our online booking form, we need only a few pieces of quick information from you about your car’s make, model and year. In moments you’ll have a live arrival time and a place booked in, as well as an alternator cost along and booking confirmation number for reference. We use only the highest quality replacement parts and spares – no exceptions! All of our service work and repairs come with a nationwide 12 month/20,000km warranty so you can rest easy if you travelling interstate. If you’re looking for the most convenient and highest quality repair work for your vehicle, contact Lube Mobile now. Any question please do not hesitate to call us on 13 30 32 for friendly asistance. The mechanic that came out to repair our car was exceptional. He was friendly, knowledgeable and explained everything that needed doing before he commenced the work. Because of the service we received from Michael we will definitely use Lube Mobile again and recommend your service to others. Michael is a credit to your company. Very satisfied the way Lube Mobile attended to my problem. Very efficient and the Service Mechanic was helpful in every way! 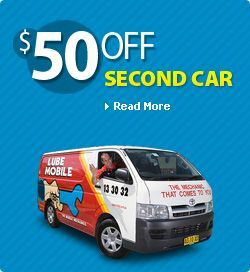 This was the first time we have used Lube Mobile as we were in the position of needing the car fixed quickly and we could not get it to another location. The whole experience was so impressive we will be trying Lube Mobile for our next general car services!